We can see that symbolic powers, occult powers, and poetic powers emerge from the same source, the same depths.Gaston Bachelard, Preface to Richard Knowles’s Victor-Émile Michelet, Poète ÉsotériqueDuring the 1960s and 70s, British historian Dame Frances Yates astonished and perplexed the community of historical scholarship by her reasoned advocacy of the view that a highly significant factor in promoting the genesis of modern science and its representative the “scientist” was the Renaissance Hermetic movement’s veneration for the Magus. The Magus is concerned with extending his powers over all aspects of creation, even unto immaterial realms. In analyzing the life of Dominican friar Giordano Bruno in particular (Giordano Bruno and the Hermetic Tradition, 1964), Yates demonstrated how the opposition of the Catholic Inquisition created the idea of Bruno as a “martyr to science”–he was burned at the stake in Rome in 1600 as an impenitent heretic–when his actual views were regarded in the main as superstitious claptrap by many 19th-and 20th-century scientists operating on “Newtonian” lines. Rekindled in Florence after 1460, Yates declared the gnostic “Hermetic Tradition” stimulated the rediscovery of Man as a free-willed Operator in the universe, a co-creator with the divine, to whom no secret need remain hid. [. . .] Thus “occult philosophy” was not in fact “hidden philosophy”–the deliberate cultivation of esoteric obscurity–but revealed what had formerly been hidden to the eyes of the fearful and the ignorant; in another word, science, but science with esoteric and spiritual balls: Gnostic science was the vehicle of revelation. What is truly fascinating about developments in Paris in the 1880s and ’90s is that at the very time when many scientists had reached an apogee of materialist certainty verging on hubris–feeling themselves and their experimental methods utterly alien to the figure of the Mage who “dreamed but did not get real results”–yet at that very moment we find the Magus’s position as the desirable ideal and archetype being assumed not as the ideation of the scientist, but as the apotheosis of the ARTIST. The aim? That Art trump Science. New men will embrace the new religion, universal, already hidden in spiritual symbols, which, while the traditions and cultures around them might differ superficially, exist as one in essence. Esotericism insists there is correspondence between all things. One thing opens a door to another: all rooms are connected. The new religion was at home in the Temple, whether of ancient Egypt, the Panthéon in modern Paris, or the contemplative mind in its study, or with like-minded friends. [. . .] In this religion, the Magus and prophet is not the scientist who limits the universe to measure it, but the Artist who seeks the infinite, the one who accepts the “open secret” of the universe as mystery. The Artist becomes one who reveals the hidden truth, not of matter itself, but of Man and the determinative occult world behind nature. Hail the Artist as custodian of spiritual being, of idealization, of beauty, of essential truth! The dizzy heights of this realization were given verbal form in sweeping style by Bailly bookshop habitué Joséphin Péladan: “There is no reality other than God. There is no Truth other than God. There is no Beauty other than God.”3 Péladan deduced that the greatest art had necessarily been generated for the Catholic Church and the time had come for the Church to realize that the true hierophant of the mysteries was the Artist, the Magus come to the cradle of the Lord with gifts. [. . .] He was sacrificer and bridge-builder between the invisible and the visible, between this world and the world to come: the master of the ikon and of memory. The Artist’s business was with the ideal and the spiritual, not with reproducing the visual plane of nature like an ape. Paraphrasing Hermes Trismegistus, Péladan concluded: “Artist, you are Magus: Art is the great miracle.” The materialist scientist will only take you further into the endless darkness of matter, progressively enslaving the spirit to rational categories and destroying the divine humanity. The Magus, of whom Leonardo was a shining exemplar, combined search into the quantitative visible world with a no less penetrating search into the invisible and symbolic world, the infinite worlds, the boundless worlds of imagination, not to be confused with merely external fantasies as in the vulgar notion of “surrealism” or visual whimsicality. He was a man of imagination and his genius transcended his time, perhaps time itself. So we see the figure of the Hermetic Magus return, and his gift was to justify the position of the artist, to secure him at the heights. [. . .] Hermetism made exalted sense of the Artist and his peculiar life and vocation. It thus became desirable for the new artist, who, like Redon, found the “ceiling” of the Impressionists too low for comfort to explore occult traditions, to partake more fully in the insights of the condemned gnosis. For this purpose, the L’Art Indépendant shop in the Rue de la Chaussée d’Antin and the Librairie du Merveilleux in the Rue de Trévise became essential calling points. In those oases of the ideal freedom, the movement could take its store of inspiration while sharing thoughts and carrying them out into the artists’ apartments, studios, informal salons, and café meetings. Now joined, Symbolism and Occultism shared mutual waves that would rise into an aesthetic flood, rolling through the streets of Paris in an attempt to sweep away the barricades of materialism, to oppose the Barbarians at home and abroad with unearthly Beauty and the power of the Spirit. After all the historic, failed revolutions that promoted what was perceived to be Paris’s decline into decadence, a spiritual revolution was afoot. Its weapon: ART, perceived as the exercise of the “High Science,” that is to say, Hermetic magic. 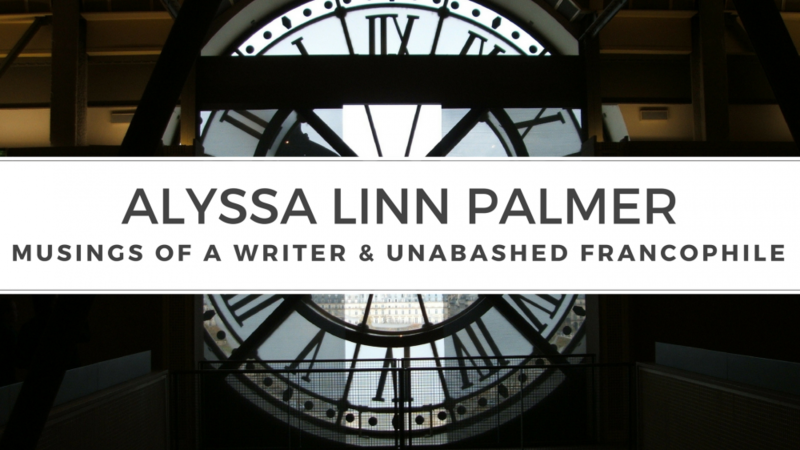 I really had no idea what to expect with this book, but what I didn’t expect was to be overwhelmed with names and places and events, basically being plunged headfirst into Symbolism, Decadence, Impressionism, and Hermetic philosophers… among others. I’ll be honest and say that this book took me a long time to read, and I still do not feel entirely certain of my knowledge of its contents. I rather feel like I should have read a Wikipedia (or other) primer of the cultural movements referenced, and especially of the men mentioned. There were a great many mentioned, but I still do not have any real idea as to why/how the various persons noted became Symbolists, or Martinists, or Theosophists (etc). What was the underlying motivation? There is a great deal of information in this book, and for someone better versed, I have no doubt that it would be a gold mine and inspiration, compelling and intense. I’m afraid I’m not that person, or at least not yet, not without learning an awful lot more first. I am somewhat intrigued, however, and I am wondering about the role of women in these movements, aside from being ‘feminine’ inspirations, or symbols of wisdom, like Sophia. The art in the book often shows women, but they appear to be objects or symbols rather than real people. I suppose it would be a question to put to Churton himself, whether or not any women participated in these movements, and if there were any known more generally. A note on the book itself: the hardback is a handsome edition, high quality, and has very good colour photographs in an insert. Definitely one for display on the shelf, if that’s your thing. Midnight at the Orpheus is #3 in Best Bisexual Fiction at the Rainbow Awards! 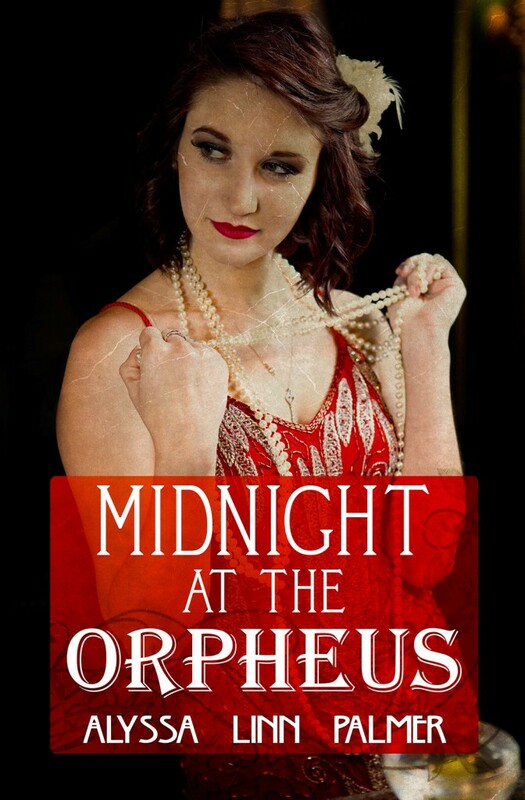 Check out Midnight at the Orpheus at Bold Strokes Books, Amazon, BN.com, or your local bookseller!